Fans of Benedict Cumberbatch, Jonny Lee Miller and director Danny Boyle who weren't lucky enough to cross the pond to catch the trio's intriguing Royal National Theatre production of Frankenstein, you're in luck! A filmed recording of the play, in which Cumberbatch and Miller took turns playing the dual roles of Frankenstein and his monster (a tag-team performance that won them the 2012 UK Olivier Award for Best Actor) is heading to theaters stateside this June. Details after the jump! Leave it to Tim Burton to make even the gruesomest scenarios utterly heart-wrenching; I started welling up during the first 30 seconds of the new trailer for Frankenweenie, the black and white stop-motion animation adaptation of Burton's well-loved short of the same name. Watch it and shed a tear for the childhood pets you once loved. 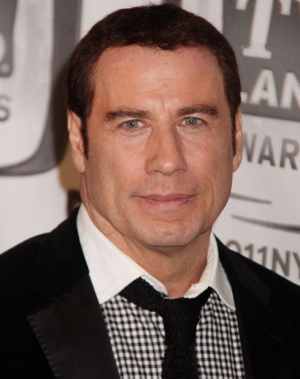 Looks like John Travolta may not get the chance to prove that he's man enough to play John Gotti Sr. in the upcoming crime-boss biopic from Barry Levinson. Showbiz 411 reports that the project, Gotti: In The Shadow Of My Father has been indefinitely postponed now that production company Fiore Films has run out of funds. Al Pacino, Ben Foster and Kelly Preston had also been cast in the film. Click ahead for more Buzz Break.